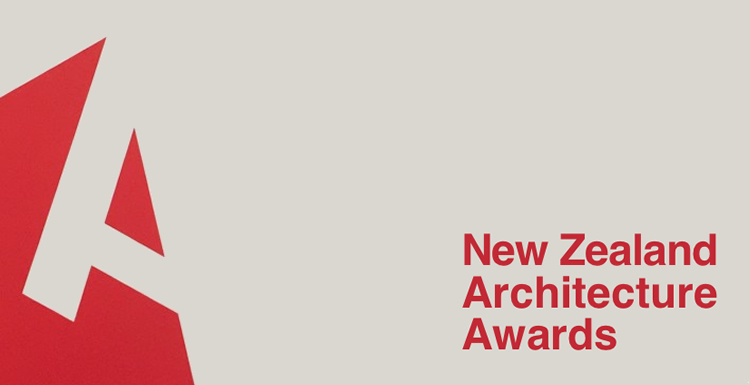 We are excited to be shortlisted for the 2019 NZIA Architecture Awards! Our architecture design team for our Biotech and AI project ‘Imagining a new Future’ celebrating at the 2018 New Zealand Interior Awards. Our studio has been using the Microsoft Surface suite of products since 2017. Director of the studio, Jo Aitken, shares a little bit more about her experience with the technological advances of this suite of products and our work processes. We are excited to be finalists in the New Zealand Interior Awards! Our team, Alice O'Brien-Gortner, Madumal Gunaratna, Sophie Daly and Daniel Christev worked with the University of Auckland's Biotech scientist Dr Svetland Boycheva and the talented guys, Isaac and Stephen from Monmouth Glass Studios on this project. Thanks to Elle Magazine and Architecture NZ for writing about our Project: Intelligent Futures: Artificial Intelligence, Biotechnology and Architecture. Surface Studio - beautiful new tools to start off a beautiful new year! As ambassadors for the new Surface Studio, we are very excited to start off our new year with a wonderful new suite of tools, the Surface Studio and Surface Book 2, which is making starting back at work like a dream! SXSW 2018, here we come! We are excited to be heading to next year's South by South West (SXSW) in Austin, Texas to present our Urban Library Learning Park project, which looks at a potential new public building typology and the re-use of inner city car parking buildings, once they are no longer needed with the onset of driverless cars. Click here to link through to the article in the New Zealand Herald from Wednesday 6th September or click here to link through to our interview on the Wallace Chapman Show from Sunday 3rd September. Our exhibition, Future Intelligence and Biotechnology in Architecture, is opening in a few weeks! Click image above for further information. Check out our new green screen in our studio - just need to tweak the lighting to remove the shadows! Look out Future, here we come! We love this recently published photo by Lisa Taylor Photography of the talented ballerina, Asia-Rose Blowfield,(@asiatheballerina) from MEBA (@meba_ballet), shown at the Govett Brewster Art Gallery / Len Lye Centre (@govettbrewster). The concrete 'curtain' walls seem to create the perfect backdrop for a dancer. Director, Jo Aitken (a former dancer at MEBA) was fortunate to work closely on this project as the Len Lye Centre Project Architect with Patterson Associates. We are very excited to be named as a winner in the 2016 Architecture Awards, part of the Global Awards Programme, for 'Best in Bespoke Residential Design'. Madumal Gunaratna and Sophie Crews get into some good fashioned paper folding at our Auckland based studio. Both Madumal and Sophie have been trained in Architecture at the University of Auckland. Sophie, a talented all-rounder who has won several awards across a wide range of areas including design, art and research is an absolute asset to all parts of our practice. Madumal has won various architectural design and graphics prizes and helps lead our graphic design and audio visual work. On behalf of the NZ Institute of Architects Auckland, we installed the exhibition on New City Architecture in Auckland City. It is open 24hrs for public viewing at the Britomart Atrium. The exhibition was designed by Atelier Aitken and fabricated and installed by the talented team at Angus Muir Design. We have also partnered with Panuku, The Roots Creative Entrepreneurs, Makerhood, Architecture + Women, NZ Institute of Landscape Architects and a few individuals to create a series of exhibitions at the Silos. They are open 11am - 4pm daily and 11am - 8pm on Friday. Architecture Week 2016 is happening this month! We are proud to be supporting this year's Architecture Week as one of the main organiser's for the event, which is focused on ‘Housing the Future’. Could a curlier theme be chosen for a week of architecture-related events and activities? Housing (whether it’s the lack of, affordability, quality or type) is the word on everyone’s lips and more often than not it’s a word with the worrying suffix “crisis”. As prospects for affordable home ownership diminish for many, difficult conversations are needed about how we design and build, the nature of our cities and how we live in them. Click the image above for more details. Check out the July / August 2016 issue of Metro Magazine to see an article about our director, Jo Aitken.